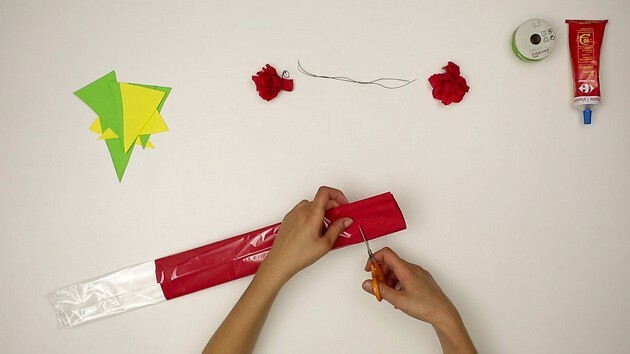 Here is a tutorial to make a flower paper chain. 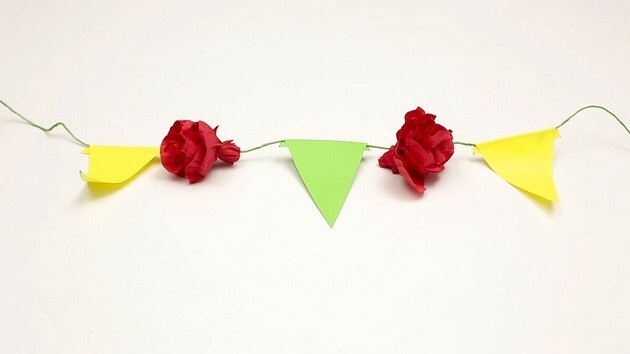 To celebrate spring, celebrate by making a beautiful flower paper chain full of vibrant colors ! 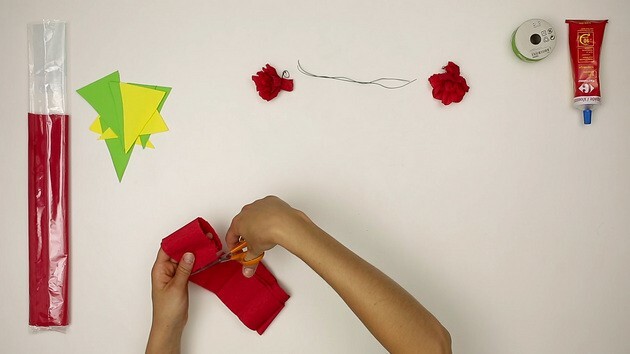 How to make the paper chain? 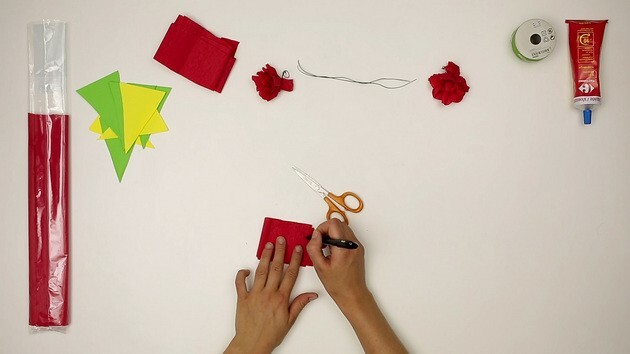 Superimpose the sheets of paper, fold them across the width twice. Cut them up into triangles. 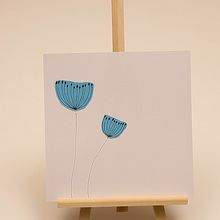 Cut up the crepe-paper (a piece of 3 inches). 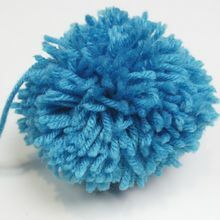 Wind it around three of your fingers 6 times. 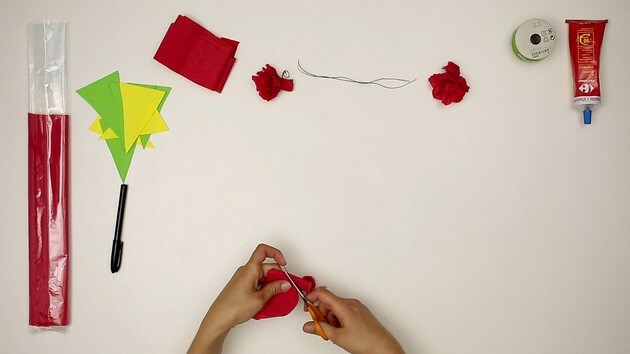 On the upper part, draw a circular arc and cut it up following this line. 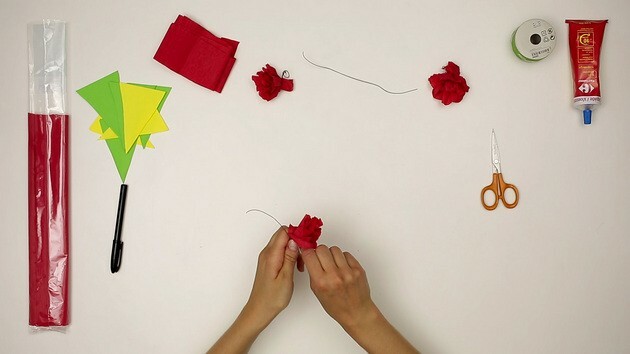 Wind the base of the crepe-paper around itself, and you get a flower! Fix it to the wire. Cup up a piece of the cord. 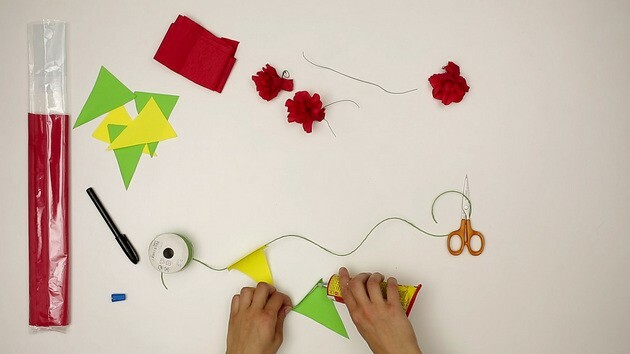 On this cord, fix alternately a triangle with the glue and a flower with its wire. 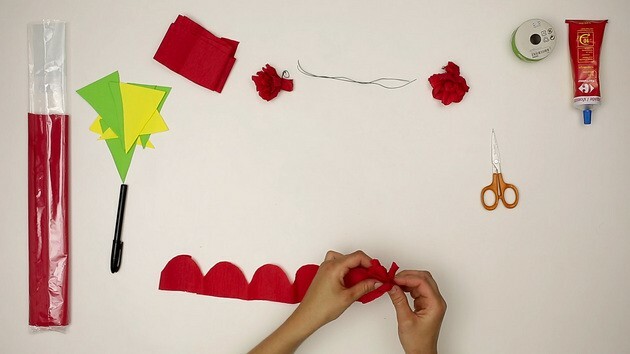 With this tutorial, you will learn how to create a very personal paper chain. 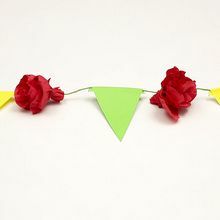 Outside and inside the house, it will brighten up the place and spring.